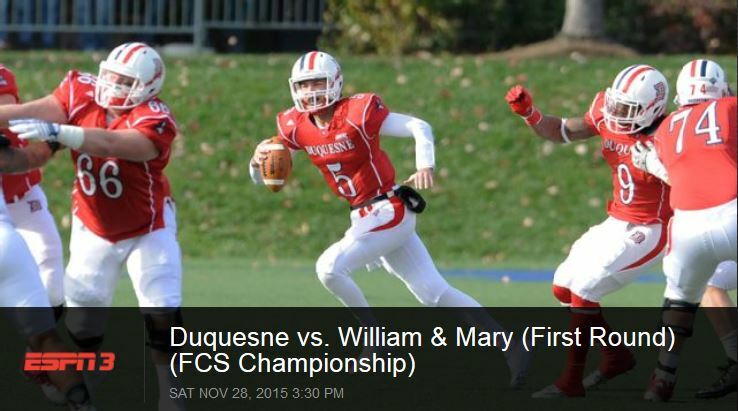 The Dukes have yearned for this chance for half of a decade. They shared the NEC title in 2011, but watched Albany go on to represent the conference in the FCS playoffs against then-Big South member Stony Brook. Duquesne matched Sacred Heart’s first-place record in 2013, but the Pioneers’ head-to-head victory over the Dukes meant Jerry Schmitt’s team would again miss out on the automatic bid to the national tournament. There is no monopoly on the Northeast Conference’s five major individual football awards. In fact, it is quite the opposite. 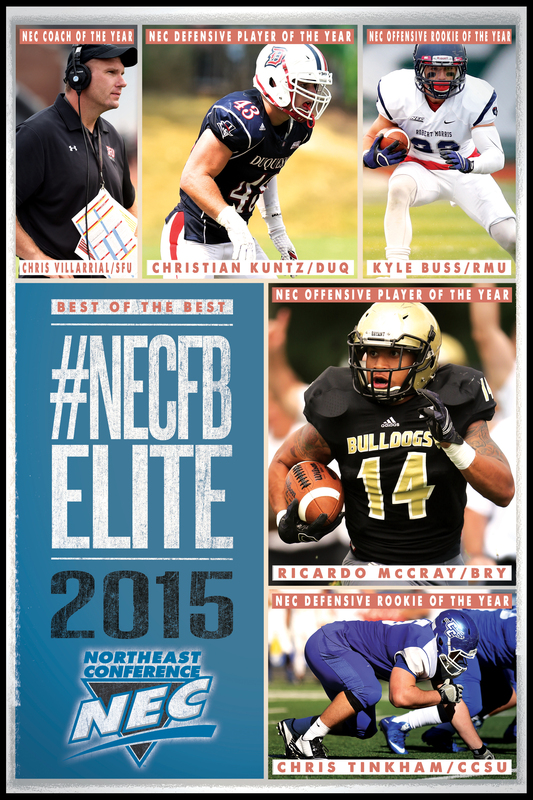 The Northeast Conference unveiled its 2015 football honorees via twitter on Wednesday morning. Each of the five major awards went to members of different NEC programs. Duquesne topped Saint Francis in a winner-take-all NEC regular season finale and will play for a national championship as a result. The Dukes are headed to the Division I FCS playoffs for the first time in school history and there has been plenty of talk on twitter about their remarkable run. Dukes r NEC champs!!! Congrats 2 all Dukes, and thx 2 all former Dukes, alums and fans for outstanding support today!